Spray paint cans, one-gallon paint cans and five-gallon pails: who would have guessed these are comparable to, say, bananas or coconuts? Al Hildreth, senior environmental engineer for Saturn Corporation, a subsidiary of General Motors, does just that when he describes how his car company’s paint and aerosol can recycling program came into fruition. The entire line of Saturn vehicles is turned out at a single plant in Spring Hill, Tennessee. Major production facilities, including the power train assembly, the body panel operation, the vehicle interior systems and the general assembly, are located here. Building a car like Saturn’s SC2 from start to finish requires lots of lubricants, paints, and other products commonly packaged in recyclable steel paint and aerosol containers. These empty cans are now collected for recycling. Steel paint and aerosol cans are collected for recycling at Saturn for two reasons: first, recycling is part of the company’s general commitment to protecting the environment. 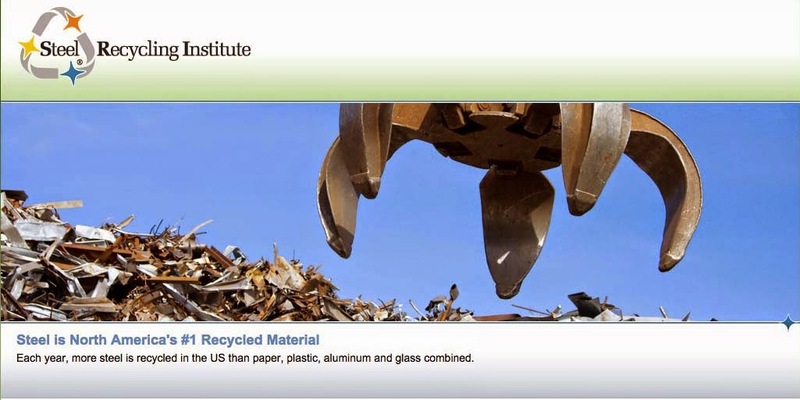 In addition to steel cans, the company recycles steel, aluminum and plastic scrap; white paper; cardboard; polystyrene; shrink wrap; and sand fines. The second reason the company collects paint and aerosol cans for recycling has to do with what Hildreth describes as “basic economics.” Empty aerosol cans generated at the plant were previously being managed as hazardous waste, while empty paint cans were being disposed of in landfills. Hildreth discovered that it would cost much less for Saturn to recycle these containers than it did to dispose of them. In early 1993, a system was established to collect empty steel paint and aerosol cans generated from the production areas and divert them to a central processing location. Several 55-gallon drums with attached lids were interspersed throughout the plant. During the course of a normal shift, employees fill the drums with used aerosol cans, which are collected and taken to the plant’s designated processing area. There, the aerosol cans are run through a machine that punctures and drains them while also capturing any vented gases. After processing, the aerosol cans are carted to a 27-yard roll-off for steel and aluminum scrap. When filled, the roll-off is taken to Waste Management’s material recovery facility in Williamson County for baling and shipment to end market. As many as 5,000 empty steel aerosol cans are collected from the plant a year. Paint cans and five-gallon pails are collected differently. After fully emptying the containers through normal use, employees wipe the insides out with a rag, and the cans are allowed to dry overnight. The next day, the cans are delivered to the plant’s processing area for crushing. The crushed cans are also loaded into the 27-yard roll-off for steel and aluminum scrap.